In my Sensing God’s Direction post, I suggested that one of the first steps your should take, after God has birthed a dream in your spirit, concerning short term missions (or any ministry involvement for that matter), is to talk about it with your pastor. I can’t express how much of a benefit it has been, to have my pastor both completely informed of and involved in, the application process, the progress of preparations and the communication of my burden. In my mind, the value of your pastor’s role cannot be underestimated. His Responsibility: Your pastor is accountable to God for the way he takes care of you, one of the sheep that God has entrusted to his care. For this reason, no major ministry-related decisions of any kind should be made without consulting him. If your desire is truly from God, chances are your pastor will not be surprised and will be glad to help you put feet to the dream. Objective 3rd party: Your pastor is a great person to identify errors or omissions that could weaken your application. In my case, there was a contextual issue which, had I not qualified it, could’ve incited doubts or led to unnecessary questions in the minds of the men evaluating my application. He brought it to my attention and with the addition of a single paragraph, the occasion for confusion was alleviated. Points of doctrine: Sometimes statements can be made which can come across to someone who doesn’t know you well, as representing an error in doctrine. In 1989, while still in the Baptist church, I was being interviewed for a missions opportunity and responded something along the lines that “the Holy Ghost was a tool through which God…..” I forget the rest, but a poor choice of words raised a major red flag, which, in the absence of clarification, could’ve killed my interview. Organizational knowledge: Your pastor can provide insight into the normal workings of the departments or individuals on an organizational level: what things need to happen before something else can occur for example. Pitfall experience: If your pastor has been around for any amount of time, he has likely seen applications (whether for short term missions, district appointments, or others) that have done very well and others that have fallen flat on their face…. or even fell on “deaf ears” because evaluators were missing key details. He can help you to not be another case of pitfall. Approaching other ministers: Whether you have a formal ministry position or not, your pastor can be a great help in leveraging support, and/or contact, with other ministers, both in and beyond your district. Some pastors, because of ministerial ethics, will not be comfortable approaching you directly (or being approached by you), without first going through your pastor. They want to make sure everything is OK and above board – and this is a wonderful safe-guard. See this note from my pastor, which went out to all ministers in my district before I even thought about contacting them. It establishes that we have worked hand in hand on this project and invites them to contact me directly or to go through him. Impact on the local church: Whatever the outcome of your application, there will be implications on the local church, moreso of course, if you end up going on short term missions for a time. No pastor wants to be surprised about personnel or staffing changes, nor do they want to be surprised about the timeline. They have to work with remaining staff to ensure the smoothest possible transition and minimize any void left by your absence. No lone rangers: There have been, in the past, somewhere between the north and south poles, lone rangers. These are people who, to escape a negative situation – whether personally, interpersonally or at a church level – take off to the mission field. Perhaps they feel they will “finally” be able to “have a (recognized) ministry”. far away, where no one knows them. In the long run… lone rangers generally do not benefit the foreign field, nor do they represent the home church or the kingdom of God well. You do not want to risk being associated with, or perceived to be, a lone ranger. Work with your pastor! financial support: unforeseen circumstances may require extra funding. If you have worked with your pastor throughout the process, he will be more inclined to bail you out with a cheerful and willing heart. prayer support: No one knows your strengths (and weaknesses) like your home church. They are among the most equipped and the most inclined to stand by you in prayer. moral support: There will be days when a care-package from home will be a welcomed treat. Chances are that someone in your home church spearheaded that effort. ministry support: Times will arise when a word of advice or insight will make the difference in a make-or-break situation. Keep the line of communication open with those who know you best. He’s still your pastor: Just because you may find yourself on the other side of the world, does not mean that a father in the faith ceases to be your pastor. Your leadership structure may change, but your pastor should always be able to speak into your life or ministry. 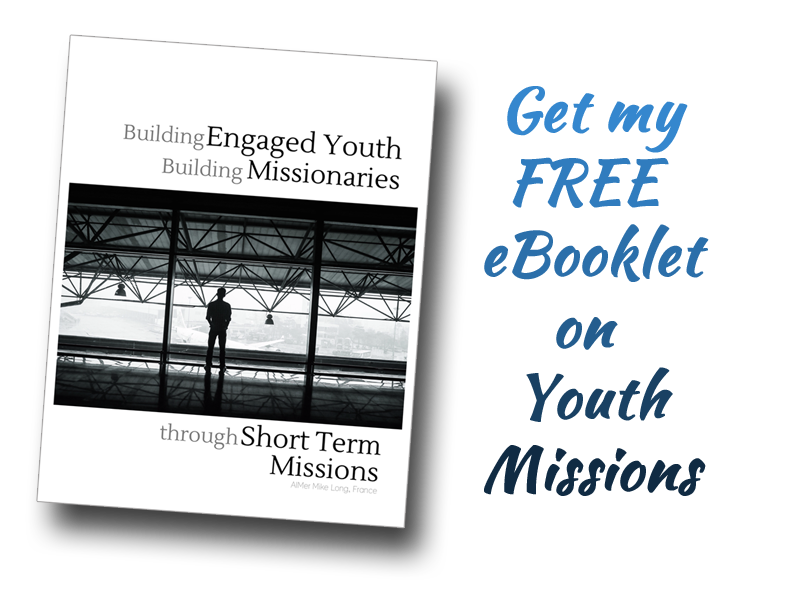 If you begin your short term missions journey walking in step with your pastor, there’s a good chance that you’ll benefit from his wisdom and resources throughout the entire process. Your overall experience will be greatly improved and the kingdom of God (both in your life and in your missions experience) will be advanced. Can you think of other ways in which you’d benefit from including your pastor in the process right from the get-go? I’d love to hear them. Five coins, 1-Euro… deep thought! What you spend your money on says a lot about you! How you spend your time, reveals your priorities. His basic tenet was that we are the currency of eternity and God desires to spend us in order to transact his business. The question is… what will we allow ourselves to be spent on? A coin does not tell its owner to spend or not to spend it, nor does it tell him what it can be spent on. Likewise, we are ill-placed to tell God how he may or may not use us. If we try we are not wholly surrendered to him in the first place. Throughout the whole message, he and Bro. Nowacki tossed 20-cent coins over their shoulders or out onto the stage and floor area, constantly reiterating the question… How will we be spent? How will we allow ourselves to be spent? Q: What if Luke, because he never really preached any life changing sermons, deccided not to allow himself to be spent? A: We’d have neither the books of Luke or Acts (which, combined, have more verses than Paul’s writings). Q: What if Barnabas, because he was never seen as either a great apostle, preacher or writer, refused to allow himself to be spent? A: Perhaps there’d have been no apostle Paul and we be missing a great part of the New Testament? We may not find ourselves being used in the capacity that we’d like or expect, but as long as we allow ourselves to be spent for God’s purposes, we’ll leave something worthwhile for the next generation. Our ministry may not be necessarily characterized by “greatness” according to man’s standard, but if we are the one to reach the “Paul” of the next generation, we will have reason to rejoice and will have been well-spent. While we were there listening, our anticipated AIM term was, of course, quite present in our mind. How would we allow ourselves to be spent? I would take them home and have them framed in such a way so as to be reminded on a regular basis… our 5 lives represent the currency of eternity and God would like to use us to transact his business. The question “How do I spend my time, my energy, my life?” must constantly be carefully considered… for I am not my own, I am bought with a price. (1 Cor. 6.19-20) I am the currency of Eternity and God wants to use me, my wife… and my children to transact His business. Will my choices concerning use of time, talent and energy best benefit His business? Below you’ll see a photo of all 5 coins… meticulously framed by Mario’s Framing in Saint John. You’ll perhaps notice that 4 of the 5 coins have the monetary denomination facing up (20 cents). However the one in the center is different… the side showing depicts a sower in a field with a rising sun behind her, accompanied by the letters RF (République Française – see detailed picture above). Having the RF facing up was intentional (as France was the center of where we wanted to allow God to spend us). What was even more incredible (and this we didn’t realize until afterward) was that the woman depicted, was a sower. That is our purpose in France… to sow the seed of God’s word into the hearts of hungry men, women and children. Lord, let it be so, let us be spent sowing, for the transacting of your business in France! (Mettra au courant de certains détails relatifs à notre projet AIM). In the future, you can also access this video simply by typing in: AIMLong.ca/video in your web-browser. Also… notice that you can view and print out our pledge form by clicking the orange button in the top, right corner or by clicking here. This note was sent from my pastor, Rev. Brent Carter, to the other ministers of the Atlantic District, on Friday, January 10th, 2013. I have his permission to share it in here as well. The Lord has opened the door for Bro. and Sis Long, and their family, to be involved in AIM in the country of France. Bro. Long has felt the burden for a number of years and under our direction as Pastor, we support fully their desire to see this come to pass. During our vision service for 2014 and beyond, this past Sunday, Bro. Long announced to our congregation what we, as a team, have worked towards for their future. This will be a great loss for Mission Point but a great blessing to the Missionaries of France. Their primary purpose will be to take care of things while the Bro. and Sis. Brochu are on deputation. All approvals have been given by WEC and the budget has been set. The timeline for the Long’s to be in France would be by January 2015. Bro. and Sis. Long are fully versed in the Language and are very capable of accomplishing what God has laid on their heart to do, immediately upon their arrival. Mission Point will be very involved in helping them financially fulfill this term. If any individuals could assist them financially or if any church would be willing for them to come and share their burden for France, it would be much appreciated as well. You can either contact myself or Bro. Long by phone or email (633-0010, pastorcarter@missionpoint.ca or mike@missionpoint.ca ) to schedule a service, or, a donation can be sent to the church on their behalf. Thank You for being an incredible Missions minded District. I thank you in advance for your sacrifice towards this awesome family. They are a wonderful couple and have three awesome children. I can honestly say that this note is very representative of the level of support that I have received from Bro. Carter from the time we began working together, in September 2012. 10 Reasons it’s important to keep your pastor in the loop. I’m about to make a real “DUH-statement”… are you ready? The main reason we have this website / blog is to easily and effectively spread the word about our upcoming AIM appointment to France (beginning January 2015). WordPress users: Click the blue Follow AIMLong button in the top right corner of the page. Updates will appear in your WordPress Reader. Email: Find the Follow Blog via Email link (located at the bottom-left and top-right corners of each page of this blog) & click “Follow”. Thanks for taking stopping by! Why not start sharing the love with this very article? Click the Twitter-bird below to share this post with your Tweeple! Just a short note to welcome members of an incredible church family…. MissionPoint! As the first Sunday of 2014 draws to a close, we have had quite a day! We heard what has been stirring in Pastor’s heart concerning the direction of this great church during the next couple of years, and you have heard what has been stirring in my heart – in our hearts – looking ahead to 2015-2016. You, MissionPoint family, will undoubtedly be the first to discover AIMLong.ca as nothing about our plans had been made public prior to sharing them with you. Let me give you a quick tour of the site so you’ll know what to expect. …describing the basic details such as where we’ll be, who we’ll be working with, budget targets etc. can be found in the following categories (also visible on top menu). Who? These pages will serve as a general introduction, for those who are just discovering the project. … this will, for the most part, be shared in The Blog section and will be sorted out by date. This section also includes some of my thoughts on Short-Term Missions Involvement in general.Who? This section will be of interest to those already aware of the project and wanting to stay up to date: with the progress of preparations prior to departure and with happenings on the field. There is a search function in the top-left corner of the site. If you are looking for certain key words, this may help. On the blog section, you can look for hints in the right-hand margin of the page that will help. There is a calendar of blog posts (allowing you to search posts by date) and there is a list of recent posts immediately beneath. They say that a picture is worth a 1000 words, so Our France at a Glance (in the right margin) will give you a quick look at our experiences there to-date, through photos. MissionPoint… You are, without question, part of who I am today… who we are as a family. Thank you for teaching me, in word and through example, what it is to be apostolic. This AIM appointment is as much about you as it is about me. I have said it before and I’ll say it again. Our involvement in France is not about “MY/OUR ministry” but about being an extension of the ministry of this church. Our church… it’s YOUR ministry also. So Let’s minister… let’s impact France… Together! One of the things that we thought necessary in preparation of this site and with a need for materials that could be used to help promote our AIM project was a fresh volley of nicely done, family photos. We had never engaged the assistance of a true-blue photographer, typically preferring the off-the-cuff snapshots that happened at various special times of the year, but this project demanded something a bit nicer. Thank you, too, to our very good friends, Rev. & Mrs. Daniel Desroches, who allowed us to send pictures of their family room around the world! 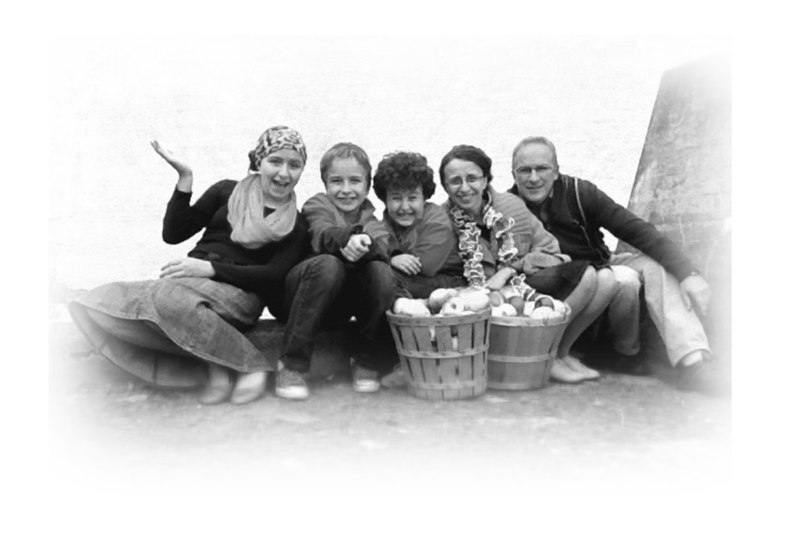 Thank you for helping to put a fresh face on our family!